Are you ready to increase social media engagement for your business? Creating a solid social media strategy can help you gain the social media engagement you seek for your business, whether your goal is customer acquisition or customer satisfaction. and connecting with the right people or influencers. 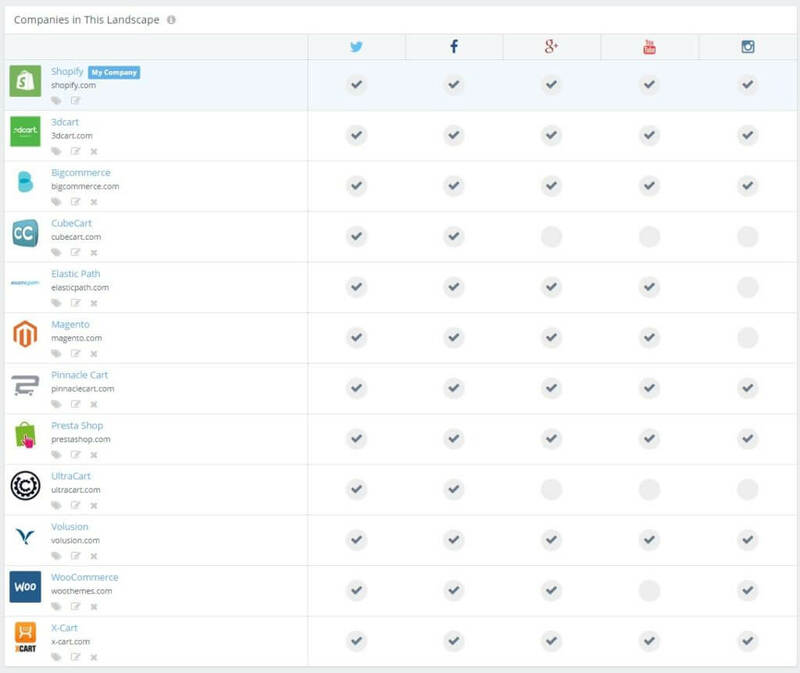 I’m going to walk through each of these, and use examples of how to do it quickly and easily with Rival IQ – one of my favorite social media analytics tools. 7 steps to increasing your SocialMedia engagement by @kikolani Tweet This! The first step to great social engagement for any business is to see which social networks drive the most social engagement for your niche or industry. Let’s say that your company plans to create the next big ecommerce software platform, and you want to be where people want to talk about ecommerce software and related topics. Competitive research can help you determine what social networks will be right for your business. Some businesses make the mistake of focusing on just one or two of their competitors. But the truth is, you have to look at a good sampling of your competitors: both the larger ones and the smaller ones. Your sampling should also include the ones that are the same as you, and the ones that might have a bit of a different angle. 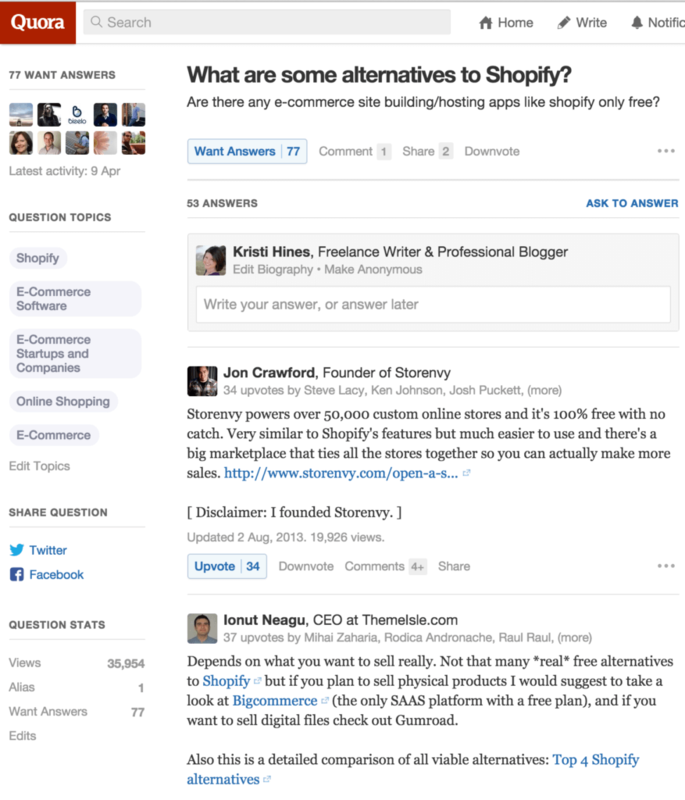 In the case of ecommerce software platforms, you have large, well-known companies, like Shopify. And you have smaller ones that are working their way to the top, like PrestaShop. And you have ones that offer free open source platforms, like CubeCart. In fact, there are dozens to choose from that represent different types of ecommerce software platforms. If you took the time to research even a dozen of these companies’ social profiles, you would probably spend a few hours trying to find them all and jotting down their positioning, number of followers and other content you could find. Judging the engagement they receive from each network would take even longer. This is where Rival IQ comes in handy. You start by creating a landscape and adding companies to that landscape that represent the majority of your competitors. You can easily add a dozen of companies to your list within a few minutes or less. Creating a new landscape in Rival IQ is fast and easy. Once you’ve added your competitors to your landscape, you just wait for Rival IQ to pull in their data. Depending on the popularity of your competitors, the data may be populated immediately. To determine which social network would fit your business best, you can evaluate which social networks the competitors in this landscape have a presence. eCommerce Platform competitive landscape set up in Rival IQ. You can learn a few things from this chart right away. 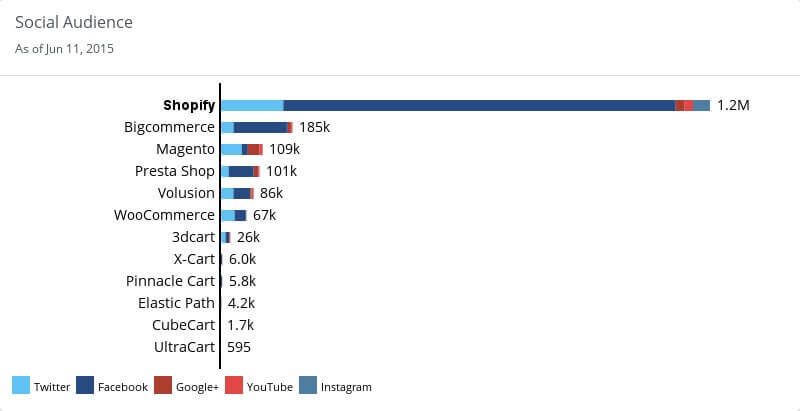 The majority of your competitors are on all of the top social networks – Twitter, Facebook, LinkedIn, Google+, YouTube, and Instagram. The social networks utilized by all of your competitors are Twitter and Facebook. If you were to only join two social networks today, they should be Twitter and Facebook. The social networks least utilized by all of your competitors are Instagram and YouTube. This doesn’t necessarily mean you shouldn’t be on those networks, however. We will discuss this later in the post. Of course, this isn’t the end-all of your research. This is just where you get started. The next thing you will want to see is the actual audience size of your competitors on each social network. While social media is not necessarily a numbers game, it can give you a feel of what to expect in terms of the number of fans or followers you could build on each social network. 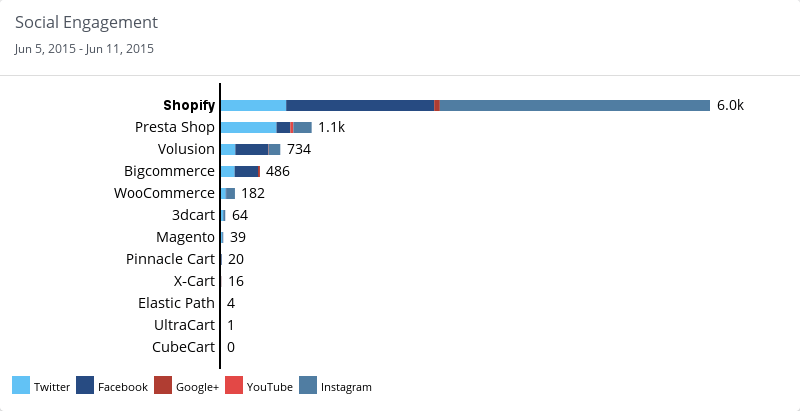 In Rival IQ’s Social Cross Channel Detailed Metrics, you can see an overview of how large your competitors’ audiences are on each of the social networks with a cool aggregate view. Rival IQ cross channel metrics shows an aggregate view of fans across the top social networks. 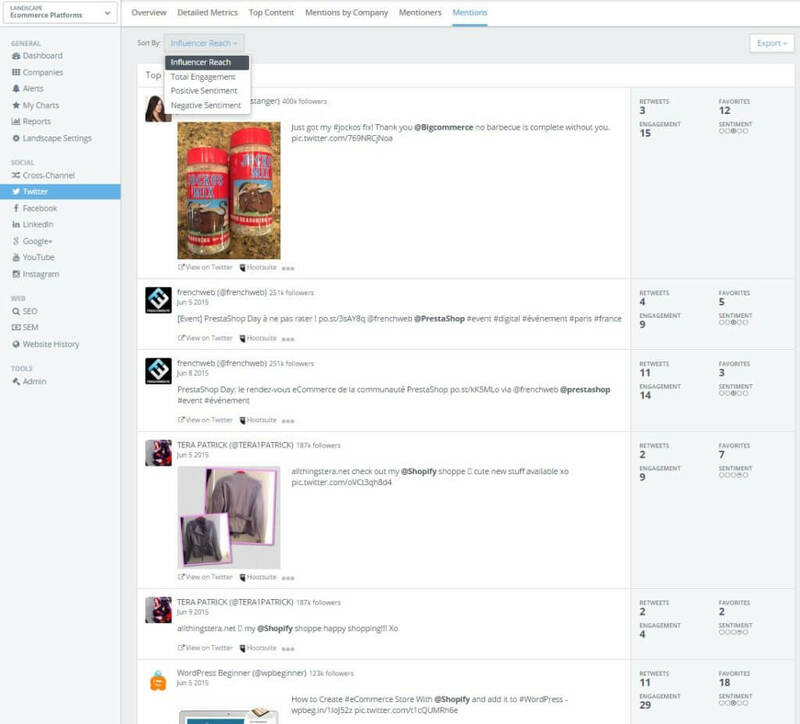 Now, you can get a clearer picture of your competitors’ presence on social networks. But before you get excited about things like having a social audience of 1.1 million members, there are a few things to note. Your competitors’ audience across multiple networks could be duplicated. Fans who like the on one network may like them elsewhere. Your competitors may have paid for advertising to build their audience. Hence, if you are not willing to devote a budget to your audience growth, you might have to invest a lot of work and time to see similar audience growth. Of course, the number of fans and followers your competitors have on each social network isn’t the most important thing to consider – but it’s a vital benchmark. You now know the range of followers your competitors have across the top networks, so you can make sure to establish a baseline of social fans in order to “be in the game”. But to engage with these followers, you need to make sure your activity level is enough to get their attention. In the same cross channel metrics, Rival IQ enables you to quickly understand activity levels, and where the action is. In this case, we are looking at activity over a 7-day period. But you can see even with that timeframe that to be in this game, you need to have activity on Twitter, Facebook, Google+ and Instagram. As above, Twitter and Facebook seem to lead the pack from an activity standpoint. Presence, audience and activity are critical foundational pieces toward social media success – but engagement is where the rubber hits the road! As you think about where to focus, engagement should drive your decision. You need to understand what level of engagement to expect or strive for in this market. 1. First is overall social engagement, meaning total interactions for this time period across these five networks. 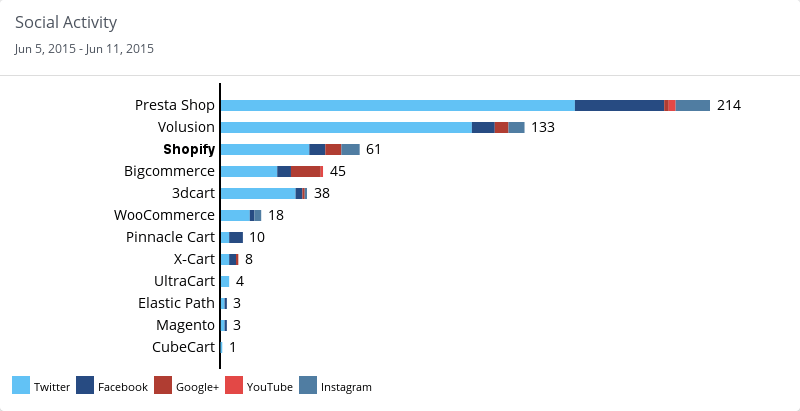 Here, you can see that although competitors like Shopify have a large Facebook following, they get a lot of engagement on Instagram. You may also note that while many of your competitors are on social networks like Google+, only one gets engagement on that network. And that engagement is minimal compared to the engagement they receive on the other social networks. 2. A second engagement metric to review is average engagement per social media post. This is the average number of interactions per follower for each post on the top 5 social networks Rival IQ tracks. This gives you a percentage of your audience engaged overall and levels the playing field a bit. While competitors with larger audiences are dominating in total engagement, competitors with smaller audiences are dominating in terms of a higher average engagement per post. 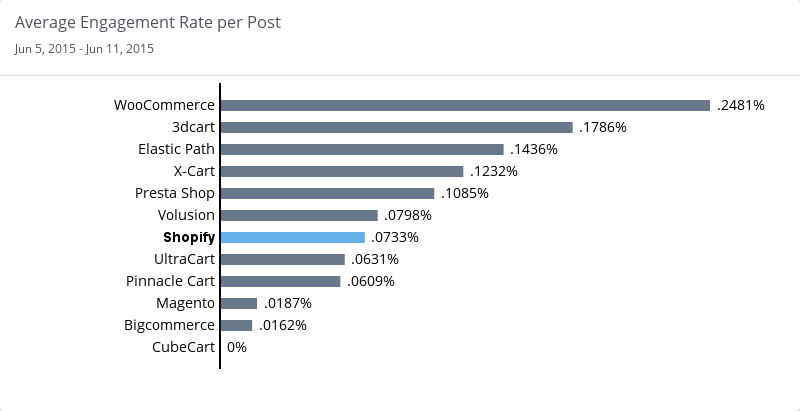 Reality is very few organizations even reach a 1% engagement rate overall, and we can see even the highest engagement rate per post is about 0.25%. 3. A third metric is type of engagement on a single network. One thing that is hard to tell through nearly all tools is the response rate of your competitors, or how often your competitors actually reply to social comments. However, Rival IQ does this especially well on Twitter. Here you can not only evaluate the level of activity, but what type of social communicator each company is. For example, some are mostly just tweeting out, or broadcasting their social posts to their follower base. 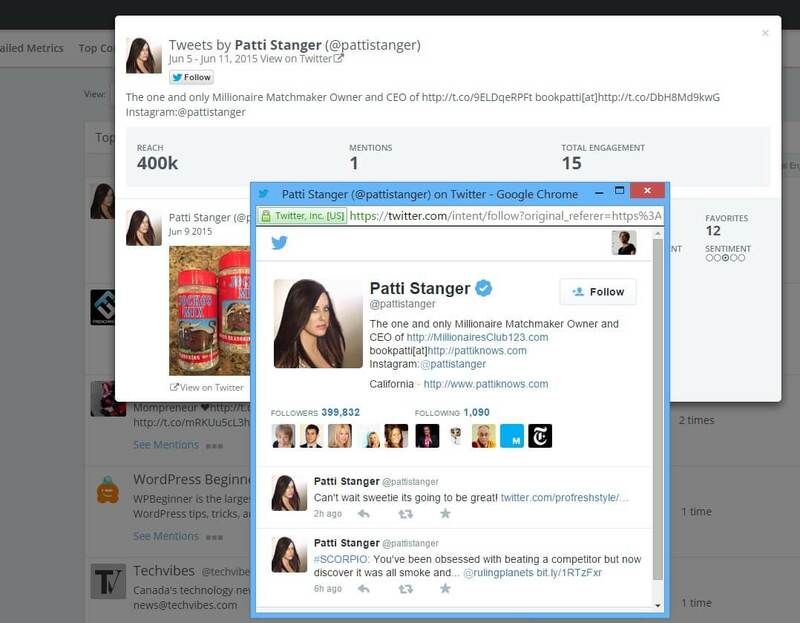 Some are amplifying content by retweeting other people’s posts. And finally, the really interesting data is the replies, because you can see who is really engaging in conversation. 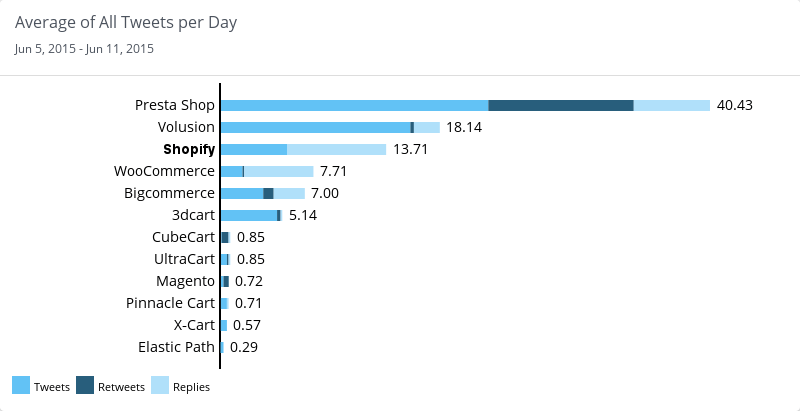 In the chart above, you can see that Presta Shop, Shopify, WooCommerce and Bigcommerce are all conversationalists on Twitter. From this engagement data you can decide what you need to accomplish to win in this market. How do your competitors attract their ideal audience to their social profiles? A lot has to do with positioning. When people visit a page or profile for the first time, they want to know a little about the company before they like or follow. If you want to find out how your competitors position themselves on social media, you can do it the hard way by going to each of their pages and profiles to look at their bios and descriptions. In Rival IQ’s Social Cross Channel Detailed Metrics, you’ll find all of your competitors’ bios by network. To get some inspiration for a short bio, you can look at their Twitter bios that are 160 characters or less. You can see here few of the companies are optimizing the 160 available characters, so this provides an opportunity for you! If you want to see a more detailed description, you can look at their Google+ overviews. Reviewing these bios will show you whether your competitors can attract audiences by marketing their company, or whether they focus on highlighting what they do on social media with their bios and descriptions. You can also continue to monitor changes to their bios and be alerted to any updates they make – so you can be the source of competitive intelligence and decide whether that should lead to an update of your own positioning. One of the ways companies get a great engagement is by networking with top influencers in their industry. Even if the influencer is not a customer, they may be likely to engage in conversation or share great content if it is relevant to their audience. One way to find out who the top influencers are in your industry, who would be likely to engage with your company, is to look at those that engage with your competitors. Rival IQ has a few different reports to help you identify these influencers. 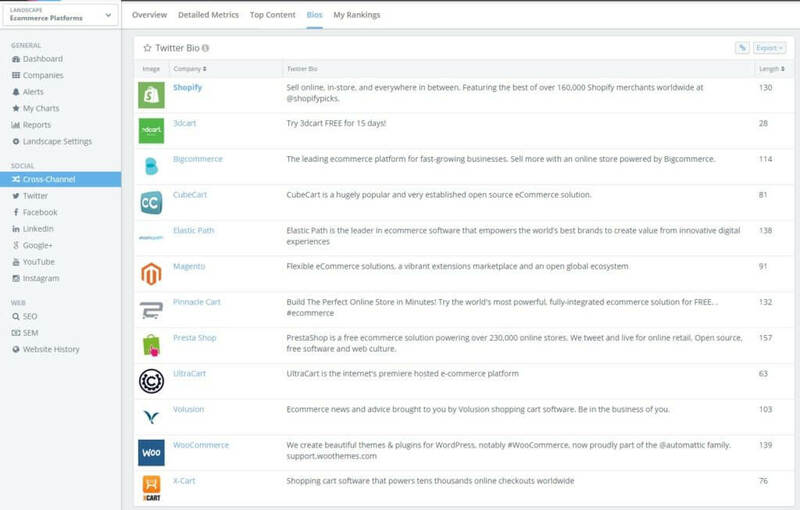 In the Twitter section, you will find the Top Mentioners chart that lists the influencers and the competitors they mention. The cool thing about this is you can start following key market influencers straight from the tool without having to go into Twitter and disrupt your workflow. Then there’s the Mentions chart that shows the top mentions of your competitors. This chart will show you whether influencers are engaging in conversation, sharing content, or simply mentioning your competitors in tweets. 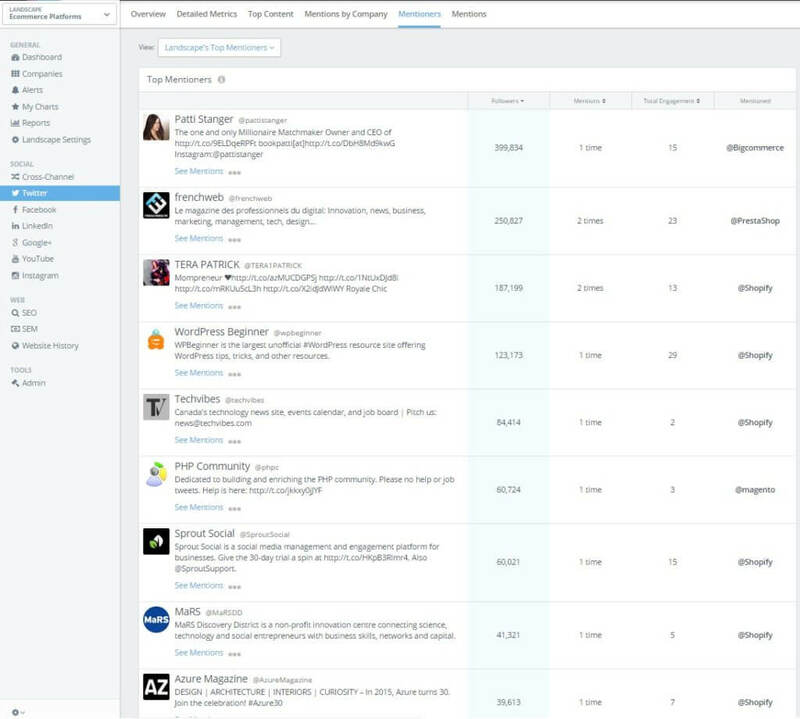 You can sort the mentions by influencer reach, positive sentiment, and negative sentiment. The latter can be useful for those that want to preview both the good and the bad when it comes to social media engagement. 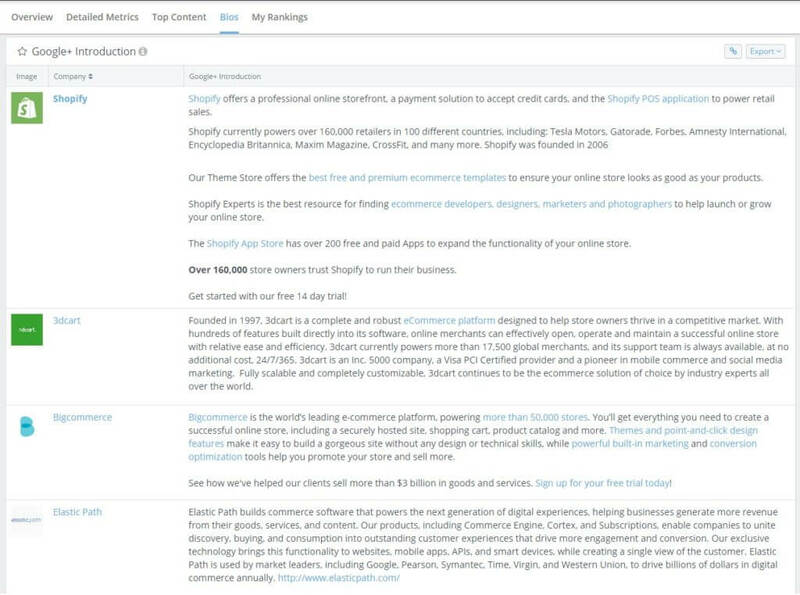 You can click the View on Twitter link for any mention to see the full conversation, including how your competitors respond. It’s a great option for companies that are learning how to engage on social media, especially with key influencers. While the top five social networks are a great place to start to build your social media engagement, they shouldn’t be the end all of your engagement strategy. Once you’ve built a solid foundation on the networks your competitors are successful upon, branch out to the ones they do not use as often. You’ll either find that there was no engagement opportunity there in the first place, or you’ll find an audience that has been neglected. You may even find the opportunity to promote yourself and your business. To find these networks, set up a simple Google Alert  for your competitors brand names and products. You’ll likely find networks like Quora , as well as other niche social networks, forums, and communities. Start Rocking Social Engagement Today! By taking the time to research your competitors on social media, you will discover what social networks to choose, how to position yourself, and who to connect in order to boost social engagement for your business. Be sure to sign up for a free trial of Rival IQ to learn how the platform can help you discover engagement opportunities for your business.